Spectacular views over the Bay, Star Island and Downtown Miami. This 1 bedroom / 1 bath condo is priced to sell and is finished with rectangular grey tile and modern design. European kitchen with stainless steel appliances to include Sub Zero Refrigerator refrigerator and wine cooler. Combined living and dining space flows out to a large patio to create a seamless indoor/outdoor space. The Bentley Bay is a luxury and full service private condominium in the most peaceful part of South Beach with numerous shopping and dinning options within walking distance. Contact the listing agent today to schedule your showing! 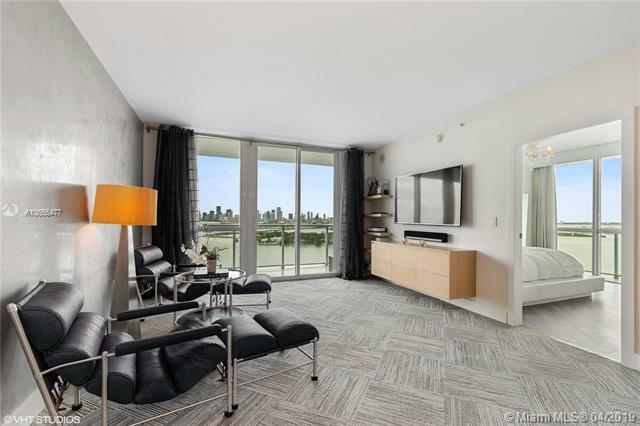 Direct gorgeous unobstructed bay views with floor to ceiling sliding doors and windows throughout this spacious 1 bedroom/1 bath both during the day and at night. The Bentley Bay is a 25 story glass work of art. Its curved twin towers are reminiscent of a magnificent yacht under full sail headed South along Biscayne Bay located in one of the most glamorous destinations in the world minutes to the hot spots of South Beach, 10 min to Downtown Miami, 20 min to Miami International Airport. State of the art S/S appliances, sub-zero fridge, gaggenau range, granite counters, and marble bathroom with jacuzzi tub, separate shower, and bidet. Luxury 5-star building with beautiful rooftop resort pool, fitness center, sauna/spa, concierge, 24 hour security, valet and much more. Marina next door. Breathtaking water, Miami skyline, and Star Island views from the 18th floor at the Bentley Bay. This 1 bed/1 bath features 24x24 marble floor, custom-made blinds, floor-to-ceiling impact windows, open kitchen with Italian cabinetry, marble countertop, Sub Zero, and Miele stainless steel appliances. Large bathroom with bathtub and shower. Only 4 units per floor. Valet parking, pool, fitness center, spa, security, and much more...The Bentley Bay is located just a few steps away from The Miami Beach Marina, South Pointe Park, Whole Foods...Enjoy the sunset having a glass of wine on the balcony. Stunning bay front 1 bed, 1 bath unit at The Bentley Bay North features 779 sq. ft. of unobstructed bay and city skyline views. Elegantly designed interiors include marble countertops, expansive floor to ceiling windows, imported European cabinetry, stain less steel appliances and large private terrace facing the water. Sound insulted master suite boasts walk in closets and a separate soaking tub and seamless glass shower. Located within very close distance of SoBes top shopping and dining destinations. Incredible bay and water views from the 6th floor!! North tower - away from the bridge. Unit in great condition.White terrazzo floors throughout. Great price!! Unit wont last! North Tower. Stunning Sunset and Downtown City views from every window and balcony. Watch the cruise ships from your bedroom. This Fully furnished apartment has Marble floors throughout, Washer/ Dryer, beautiful kitchen with granite counter tops, stainless steel appliances, black out shades, and much more. Large master bathroom with roman tub and shower. Beautiful pool area with gym. Water, basic cable and internet included. Experience unsurpassed views of Biscayne Bay, Star Island, & Downtown Miami. This 2 bed 2 bath (1,210 SF) unit features a designer master suite w/ new bathroom, Brazilian blue quartz floors, & custom closet system. Unit features floor to ceilings windows, large wrap-around balcony with West, North, & East views of the Ocean. This full service luxury building offers 24hr security, valet, concierge, fitness center & heated pool & spa. World class dining, entertainment & brilliant beaches are minutes away. BEAUTIFUL 2 BED / 2 BATH CORNER UNIT AT SOPHISTICATED BENTLEY CONDO. BREATHTAKING VIEWS OF BISCAYNE BAY OR MIAMI SKYLINE. WRAP AROUND TERRACE, STATE OF THE ART GYM & SPA. WALKING DISTANCE TO RESTAURANT, SHOPS & MUCH MORE. FURNISHED. Rarely priced!! Spectacular views over the Bay, Star island and Downtown Miami. This 1 bedroom plus den and turn-key, well decorated condo is ready to move in. Wooden floor, stainless steel appliances, marble counter tops, washer and dryer. The Bentley Bay is a luxury and full service private condominium in the most peaceful part of South Beach with stores and lovely cafes on walking distance and has great amenities, 24 hours security, well equipped gym, spa and scenic pool deck. Furniture is included in the price. Easy to show! This uniquely upgraded and decorated corner residence at the unique Bentley Bay is a must see. Custom flooring, custom closets, custom doors...everything about this property is one of a kind. Best line in the building with the biggest balcony in the line - you can use it as a second living area! Both bedrooms are very spacious and have spectacular views with floor-to-ceiling windows throughout. Spacious living room with a full size kitchen and washer/dryer.Come and see why this is the best value in Sobes luxury segment. The building offers full amenities, 24/7 concierge and on-site management. In addition theres an amazing park about to connect West Avenue with SoFi and a new residential center in South beach. Check out the Matterport 3D tour too! Fully Furnished 2 bedroom at Bentley Bay North tower, boasting stunning views of Biscayne Bay, Star Island and Miami skyline. Designer furniture, high end finishes, and top-of-the-line appliances make this unit the best deal in the building. Bentley Bay is a luxury building, located a few minutes from the restaurants, shops and beach and featuring top class amenities. Easy to show. Amazing views from this corner 2-bed 2-bath condo at the Bentley Bay. Located directly on Biscayne Bay, Floor-to-ceiling windows, wraparound balcony, European kitchen and baths, 24-hour valet and concierge, heated pool, state-of-the-art gym. Totally Furnished, could be rented for 4 or 6 months in $6500/month. Enjoy views of Miami skyline & star island. Best price in the building!!! Beautiful 3 bed 2 bath, fully renovated. 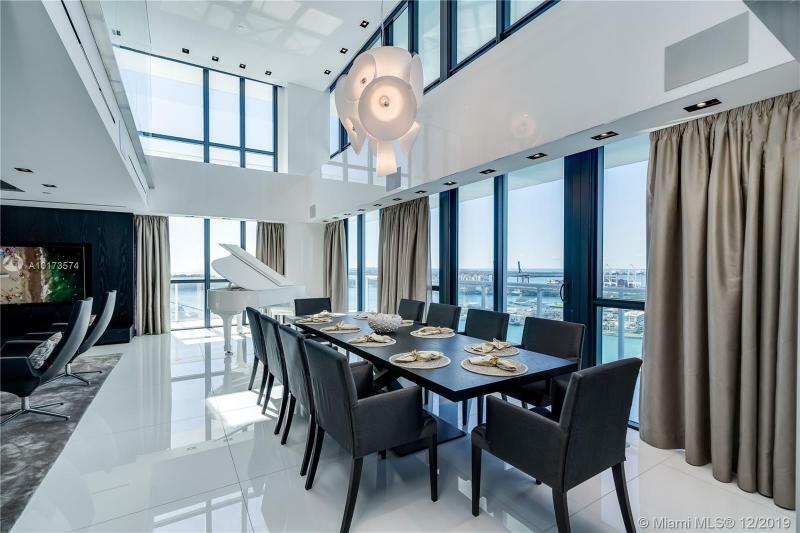 Spectacular views of Star Island & Downtown Miami in the Bentley Bay Condominiums. Kitchen features GE Monogram Stainless Steel appliances including wine cooler, glass surface cooktop & quartz countertops w/ glass tile backsplash, soft-close drawers & cabinetry. Modern LED lights throughout entire apartment & contemporary dimming light switches in titanium. Both modern & fully renovated full bathrooms include a bidet & concrete floors w/ free standing tub in master. 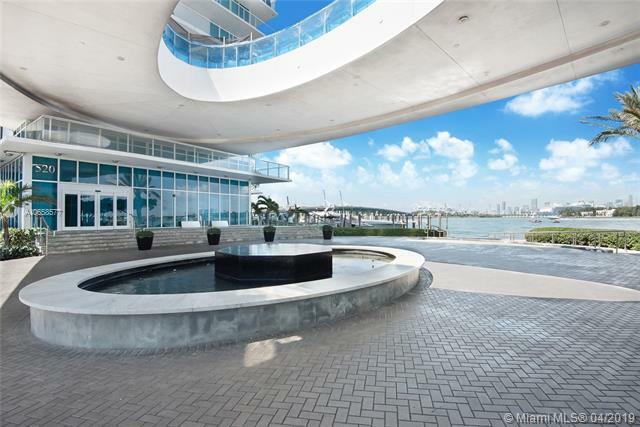 TOTALLY RENOVATED ONE OF THE KIND TWO STORY PENTHOUSE WITH SKYLINE MIAMI, STAR ISLAND AND OCEAN VIEWS. CUSTOM GLASS STAIRS, WET BAR, WINE ROOM, FOUR BEDROOMS WITH WALKING CLOSETS, POWDER ROOM AND OFFICE WITH FULLY INTEGRATED CRESTRON AND LUTRON SYSTEMS. MIELE AND SUBZERO APPLIANCES. This eye-popping penthouse has serious swagger. Furnished by European designers EVO. Breathtaking even before you see the 360 views. Extravagant 7,123 SF exterior, glass pool, Jacuzzi, kitchen & bar. Unparalleled electronics, LED light shows & most advanced home automation. Private gym, 2 steam showers, glass elevator & champagne/wine display. Entertainment area, DJ booth, bar, pool table & 20 ft LED video wall. 5 parking spaces. Wake up in wonderland! Security Video/Audio Devices Operating on Premises.